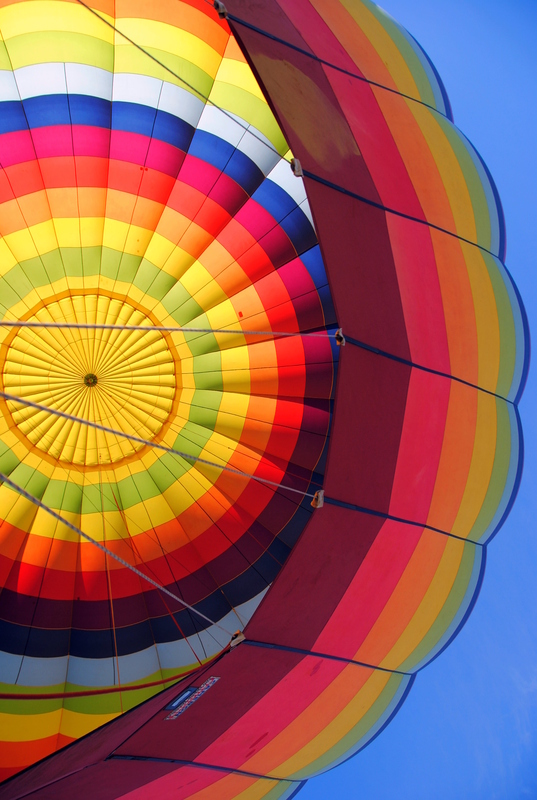 Interestingly, hot air ballooning is an activity that is simultaneously not for claustraphobics or agoraphobics. Or if you’re afraid of heights: we were 750 feet in the air. The balloon weighs 850 lbs (and is 130 feet tall) and the basket 1,850; add the people and it’s 6,000 pounds! All this can be yours for $120,000. The weight and winds dictate speed; we went a mighty 3.5-5 mph for a distance of 6 miles. It was incredible! Fellow adventurers: Bobbi, her Dad, and Oded. Adventure location: Northeast Alabama. Cori – we’re all about virtual experiences being as real as possible without the actual phobia. By “we” I mean myself and my other personalities. Myself and 3 of my 5 personalities agree. Sorry- only 2 of the personalities agree. Oh my goodness – my palms immediately began to sweat as you described the height and weights. In fact, my fingers are slipping off the keys now. Those photos are amazing. The one with the worker in between the two balloons is jsut breathtaking. Nice work, Londe. Mandi – thanks! He’ actually INSIDE the balloon after the flight, taking down ropes and such to deflate it. Amazing, isn’t it? Great trip and great photos! The balloon rainbow colors is way cool! Love it!